Keeping up with the social media updates is not easy at all. Facebook, Twitter, Instagram, they all offer tremendous growth opportunities, each of them offering unique features to help eCommerce businesses. When it comes to Instagram, its features are absolutely incredible. With more than 800 million active users every month, we can say that Instagram is a goldmine. What is more, among all other social media platforms, it doesn’t fail to surprise with new Instagram features. Instagram is all about visuals. People react very well to aesthetic and it helps them understand better what the business is all about. Therefore, when you decide to create an Instagram account, you should make sure that you have the highest quality and impeccable photos. Thus, if you are new in this business and you wonder how to sell on Instagram, then this article is for you. We will show you how to use Instagram features. 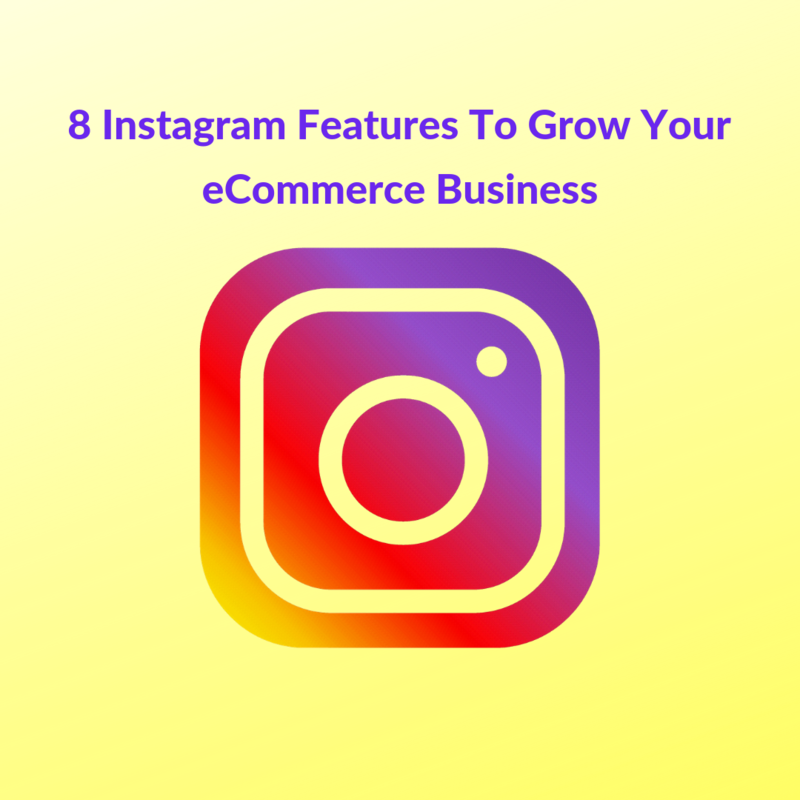 So, discover eight of the best and most recent Instagram features that can help you grow your eCommerce business and overpass competition. This Instagram feature has evolved a lot in the past year. Everyone knows it, and they consider it an excellent Instagram marketing strategy. It is important to keep your Instagram followers updated with what’s going on in your business. People are curious by nature, and they will always have a positive reaction when someone shares with them their progress and achievements. What is more, by posting updates on Instagram stories, you show your followers your human side, creating even stronger relationships than before. One of the greatest updates of 2018 is the questions stickers. This Instagram feature will help you keep interactivity to a high level. What is more, you will permanently know what your clients expect from you and how their preferences have changed when it comes to your products. Even though it might seem a fun feature, it has greater potential. You can use it for ad campaigns or to simply ask questions to your followers and get in touch with them. You may also read our recent post to understand how businesses use Instagram stories. “I think that Instagram and eCommerce go hand in hand. Whether you are selling products or you want to promote your services, Instagram can help you reach a wide audience and make an impact on the market. What is more, the features of Instagram are very versatile, adapting to any type of eCommerce business. 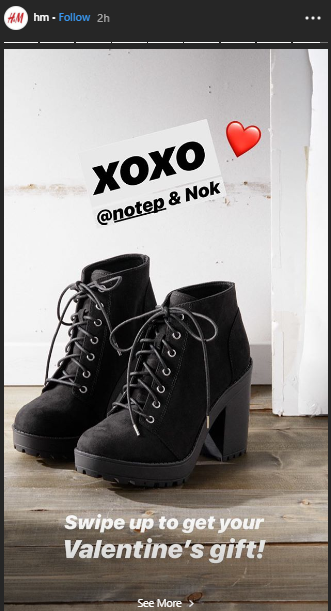 Think of Shopify Instagram business feature which makes the shopping process so much easy both for the seller and buyer”, says Anthony McGregor, Social Media Specialist at PickWriters. Everyone knows that on Instagram you can only post short-form videos. To keep up the pace with the followers’ preferences, Instagram launched IGTV which allows you to post long-form video content. In comparison to YouTube, IGTV allows vertical videos only. 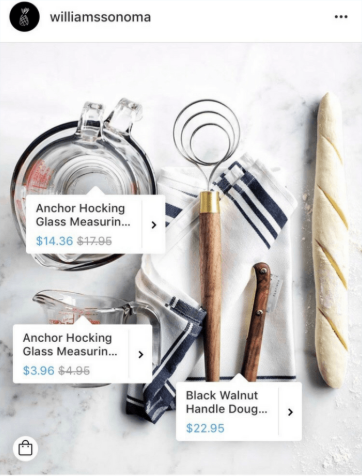 What does it mean for your Instagram commerce business? You don’t need any fancy video equipment to shoot and edit your video content. Therefore, you can keep your budget under control and still keep in touch with your followers in a very innovative way. You can upload videos from 10 minutes up to one hour. For an eCommerce business, this Instagram feature opens a world of opportunities. Just think how your followers will react if you post a behind-the-scenes video, showing them how your products are made or how much your team works to satisfy their needs. This feature helps you give a personal touch to your brand and increase your business interactivity. You can also surprise your followers with a webinar where you can share your skills with your audience and keep them updated with the latest trends on the market. How do you think your followers would react if they suddenly received a call from you? This Instagram feature brings brands closer to their followers and eliminates any communication barrier that existed so far. It is not easy to turn a direct message into a live call with a simple push of a button. For instance, if you offer coaching services, this Instagram feature helps you to easily communicate with your mentees from all over the world. You can use video calling to stay in touch with your clients and offer them the consultancy they need. Furthermore, this video call feature allows you to add up to four people on the same call. Therefore, you can also organize group calls and talk to your clients. What is more, if you use direct messaging to offer customer support to your followers, then this feature is going to be of great help. This is how you are going to show them that there is a team of people behind, who are always open to share their experiences and offer guidance during a video call. It is extremely simple to stand out from the competition thanks to this Instagram feature. Apart from keeping you in touch with your followers, Instagram can help you boost traffic to your website. It comes with an amazing feature which allows you to create shoppable posts, driving your followers directly to your website with a simple push of a button. People are extremely busy nowadays, and they prefer simple and straightforward processes when they want to buy a product. Therefore, this Instagram feature provides a unique shopping experience. Your followers won’t need to leave Instagram or your post to shop for the desired item. In comparison to “link in bio” strategy, this Instagram feature offers immediate results and is also extremely easy to use. It is very easy to create shoppable posts as long as you have them already showcased on Facebook. You should first create an Instagram business profile. This feature doesn’t work for personal profiles. Once you are done creating your business profile and have added all the elements that surpass the best of your eCommerce business, you can connect it to your Facebook account. You will use Facebook to create the catalog with your products. Therefore, you can sell your products both on Facebook and Instagram. Moreover, you should carefully check Instagram’s business policies and make sure that your profile follows their rules. However, this doesn’t mean that your profile will be automatically approved. You should wait until it is reviewed, and you receive the green light from the revision team. Once everything is alright, you can now add stickers and tags to your products posted on Instagram. The final step will be to create a shopping post. Thus, you will make it extremely easy for your followers to shop directly from Instagram and save them a lot of time. Instagram comes with another great Instagram features which allows you to share the stories where your followers tagged you. You will just need to push a button, and the person who tagged you will receive a notification showing him that you re-shared his story. This is an excellent method to thank your followers for appreciating your products and also to give them more social media visibility. In addition, this feature also allows you to re-share your posts and post them as stories. Thus, you can draw attention to what happens on your Instagram profile. Plus, you don’t need to take screenshots or use other methods to keep your followers about what’s new on your profile. You can use the re-post feature instead. You will see a plus icon at the bottom of the screen. It allows you to upload photos or videos. If you want to add multiple photos, you should tap on the icon named “select multiple”. You can find it in the bottom right-hand corner. If you want to make your followers spend more time on your post and carefully analyze your newest products, you can mix both photos and videos in your carousel post. Therefore, you will increase engagement times. Tweet This! If you want your eCommerce business to succeed, you need to keep your followers engaged. One method that never fails to attract followers is adding an interactive poll sticker on your “Stories”. You can ask your followers different questions and ask their opinion on your products or marketing strategy. It is very easy to use the poll sticker on Instagram. Prepare a photo or a video that is related to your eCommerce business and add a poll sticker on it. There is no standard place where you should place the poll sticker. You can put it anywhere as long it is visible enough and it doesn’t cover the most important elements of your photo. Once you have decided which is the best place to stick your poll, you can just write down the question and customize your followers’ choices. There are many ways how a poll can help your eCommerce business. It gives you a clear view of what your followers think about your product. What is more, when you are not sure which product you should promote more, a poll can give you an answer. By using a poll and its results, you can establish your marketing strategy. In addition, this is a very effective method to keep your customers engaged and show them that their opinion is important for you. People appreciate businesses that value their opinions and will become more loyal to such brands. You can forget about those awful days when your posts disappeared after 24 hours. 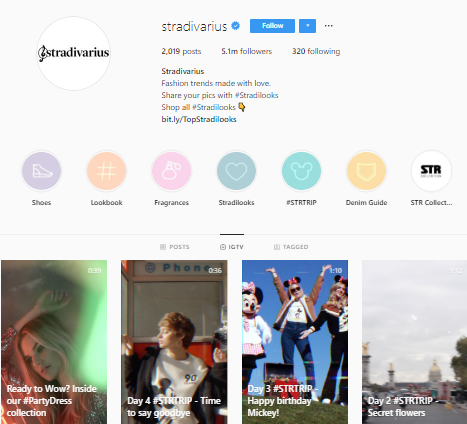 Instagram keeps the pace with their users’ necessities, and they introduced the highlights Instagram features to help businesses keep certain Instagram stories on top of their profile. It is important to keep your Instagram profile active and create new posts regularly. On the other hand, you will also have certain posts that you want to display on top of the page to support your marketing strategy. Therefore, when a new follower enters your Instagram profile, she will first have a look on your highlights section and get an idea about your business. You can think of this section as your business card which creates the first impression for your followers. As this is the first thing they see when they land on your profile, you should make sure that it is perfect. So, you should carefully select which are the stories you want to highlight and make sure that they present the best of your brand. Tap on the “New” circle placed on the left side of your profile. Decide and select from your archive the stories you want to highlight. Think of a cover for your highlight and name it. Once you have created your highlight, it will appear on your profile as a circle. Whenever someone who reviews your profile checks on it, it will automatically play and show the best of your products. These Instagram features help you give your brand an extra touch of personality. Your followers will appreciate all the efforts you put in to offer them a personalized experience and they will pay you back with more visits and orders on your website. What is more, these Instagram features will help you stand out from the crowd and beat the competition. You give your brand a more human touch, which is great, if you want to be on top of your followers’ preferences. Finally, none of these Instagram features is complicated to use. Thus, it becomes effortless with these 8 Instagram features to grow your eCommerce business.